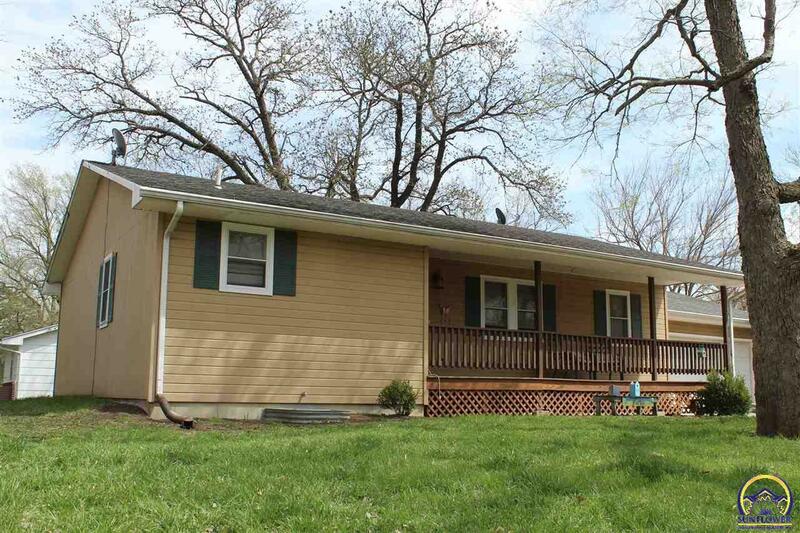 4 bedroom, 3 bathroom ranch style home with a full finished basement on a corner lot in Lyndon, Kansas. Two bedrooms are up stairs and 2 are down stairs , all bedrooms have large walk-in closets. There is a large family / recreation area in the basement. The laundry room is on the main floor. The home is total electric. There is a covered porch on the front and a deck on the back. With a 2 car attached garage with automatic garage door.